This one is so beautiful as well, as are all of the original line. I have this one as well and it reminds me exactly of the 90s Passion Fruit flavor. Kind of a fruity floral. It’s funny because the newer Passion Fruit they reintroduced in 2010, which you can still buy, reminds me of Hawaiian Punch, which I love! One of my favorites. And for those of you wondering, Tropical Punch is completely different. I love when you do vintage reviews! Keep them coming! Yeah, I think a lot of fans would want to buy them, even children. There is a fruit punch like Hawaiian Punch? What’s it called? Never had that! Tropical Punch is really good tho. Like Bunny Cookie said, Its an excellent flavor for summer. 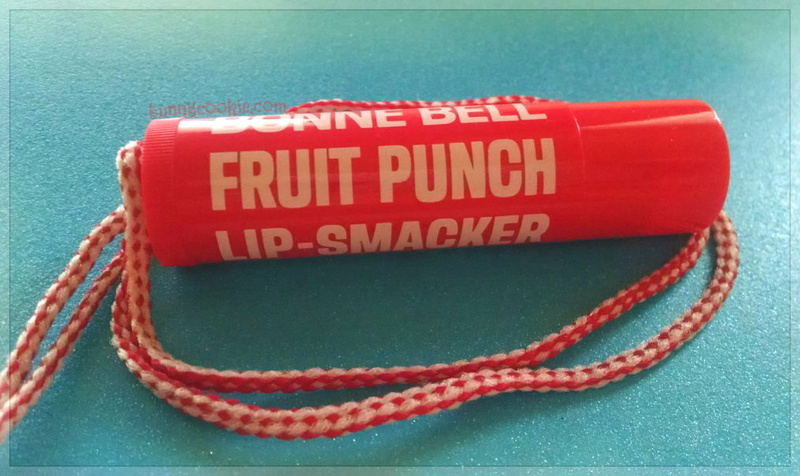 Also, if anyone is a fan of tropical punch-I recommend power punch from the SPF line! I can’t put my finger on it but its a little different from tropical punch but more stronger. It may be a dupe for fruit punch but I can’t say for sure because I never have encountered the vintage fruit punch from this post. Hmmm I may have to get Power Punch than. And I HATE actual Fruit Punch as a drink. But I like the Lipsmacker. My Passion Fruit smells nothing like the Wild Raspberry I have. Wild Raspberry was never a favorite of mine. I recall the old Passion Fruit givin the lips a tingle. I REALLY miss it. I really wish the original line of Lip Smackers was expanded more and less reliant on the Disney ones. I think the original packaging is more…. original. Any brand can slap the face of a Disney character on the packaging, but the other stuff has it’s own uniqueness that makes this brand special. I’ve recently seen the 80’s and sundae trio at Target. I’ve looked at Target time in and time again and never see the trolls or 80’s or what not. Just the same out same old and that’s lots of Disney and the only original ones are the Coca Cola or Skittles, Dr. Pepper, bubblegum, watermelon, strawberry, and the purple pack with four items: nail polish, lip gloss, lip balm, and shimmer body lotion. And yes, I’m getting tired of Disney-themed. What next? Dora the Explorer? I really hope not! If they keep up this partnership with Disney, then they should come out with Star Wars Lip Smackers. I know some of you have an aversion to this, but it’s better than characters from a Disney Channel movie, right? They could make some liquid Lip Smackers to look like light sabers, but I don’t think Markwins would do that even though kids like that sort of thing. Heck, they could do collections with Marvel characters on them! I mean, if they’re going to Disney this brand to death, they might as well explore other franchises they own. I agree Renee. I’ve been LOVING all the new flavors they’ve been doing since 2014 in original labels. Those are so exciting to me, not Disney at all. The Donut, Sundae, Cake Pop, Ice Cream Dream collections were so refreshing to find EVEN though the labels were original labels, which I prefer. Something about finding new flavors in original packaging that makes it totally worth hunting down and collecting. I love when Lip Smackers partner with food/beverage brands the most but the Paul Frank line beats Disney any day. If they did a more vintage themed, images from the original movies on the labels it would be mildly interesting, but not the crap they’ve been putting out. How cute would a ‘Grandma’s baked sweet treats’ which could be a theme that has an Oatmeal Cookie flavor in it. Just speculating… Also this plus new fall/ Halloween flavors on the horizon. My favorite season for flavors, fall/ holiday!!! I hope there’s a candy corn this year. Also, how about a Pumpkin Buttercream flavor? That’d be so good, especially since Pumpkin Latte seemed to be a miss for a lot of people since it was a little off. Why not a pie collection? I would LOVE apple, pumpkin, and pecan pie! I do hope they don’t use the same PF Apple Crumb Cake formula for it because for some reason that certain flavor is a little nauseating to me. Same with their Carrot Cake formula. I hope it leans more on an apple cinnamon pie flavor. The carrot cake formula smells too much like a scented candle to me. It would be really cool if they made a Thanksgiving dinner collection with the novelty packaging. Turkey, stuffing, cranberry sauce, mashed potatoes, and gravy! I love the novelties, yeah some are off beat but that’s what makes them interesting. I actually like and use Maple Bacon, it’s a good cold weather flavor. I also really like Salted Pretzel even though I feel like they could of done something more accurate. I’d love a Thanksgiving set! I could see a stuffing flavor and it being very sage-y, almost herbal. Lip Smacker said a few years back they were thinking of doing a turkey flavor, but realized it probably wouldn’t go over well. I’d buy it. I could also see one of Oatmeal Cookie’s counterparts being Pumpkin Pie! I’m dying to know what else it comes with! I can’t believe they haven’t talked more about this collection and gave a sneak peek considering it’ll be in stores in a couple weeks. Also, last year around this exact date Bunny Cookie posted about the Disney Villain’s Halloween Lip Smackers that popped up on the Claire’s website, so hopefully something does in the next few days. This is my favorite time of year for flavors!!! Me too! I remember getting most of the flavors from the 2014 holiday collection at Kmart in October! I love the holiday collections they come out with. I’ve noticed I tend to get dupes of those flavors more than others. Ooo Oatmeal cookie sounds yummy! Oddly, I would love a stuffing flavor! A turkey flavor is different, but I would still buy it. 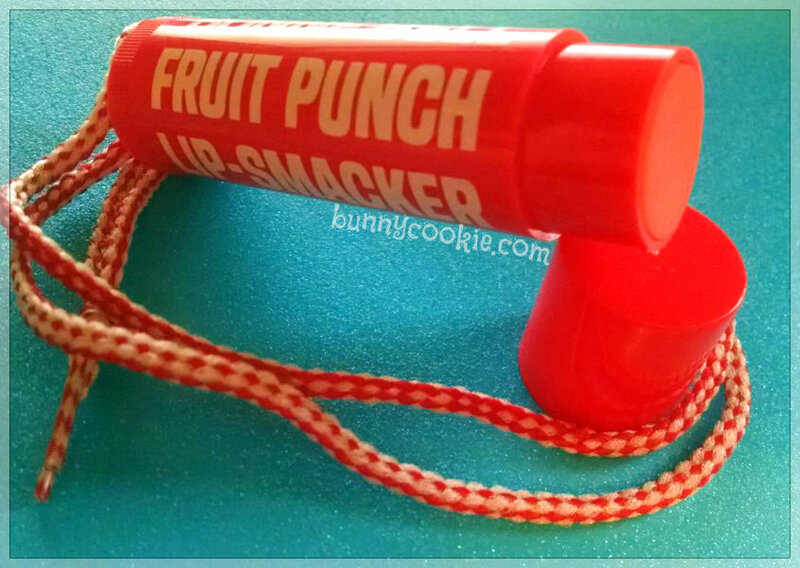 I also would like a candied yams smacker, and they could redo the cranberry sauce smacker too. I would like it in the novelty packaging! I wish, but they’re probably going to do the SAME disney flavors in a differnt Christmas packaging and call it new. You know what would be awesome? A zodiac lip smackers. I know! How awesome would it be to have your star sign as a LS flavor? Imagine the packaging! Off-topic question: Can you use SPF Sun Smackers beyond their expiration date? There’s an SPF four pack that’s been sitting in the clearance bin at my rite aid for a while, that I’ve considered buying, because Cherry Berry Ball sounds so good. The exp. date is May 2015. I know that the SPF might not be as effective, but I really only want them to wear for fun/collecting purposes, and not so much as protection from the sun. Hey Bunnycookie, I just saw on Facebook that there’s going to be a new trio coming out this September called the “Comfort Foods Trio.” It has oatmeal cookie and two other flavors they haven’t revealed yet. Will you review it when you’re able to find it? Oooo I must have that trio! The flavors are hot cocoa and apple pie! I have HIGH expectations for Oatmeal Cookie and Apple Pie. I hope they are everything they can possibly be. I’ve been wanting an Oatmeal Cookie flavor for yearrrrrs! I really hope Apple Pie is a different formula than the PF Apple Crumb Cake. That was just bad. AP has so much potential. Also, I’m dying to see if there will finally be a candy corn flavor for Halloween. I hope to see something soon!